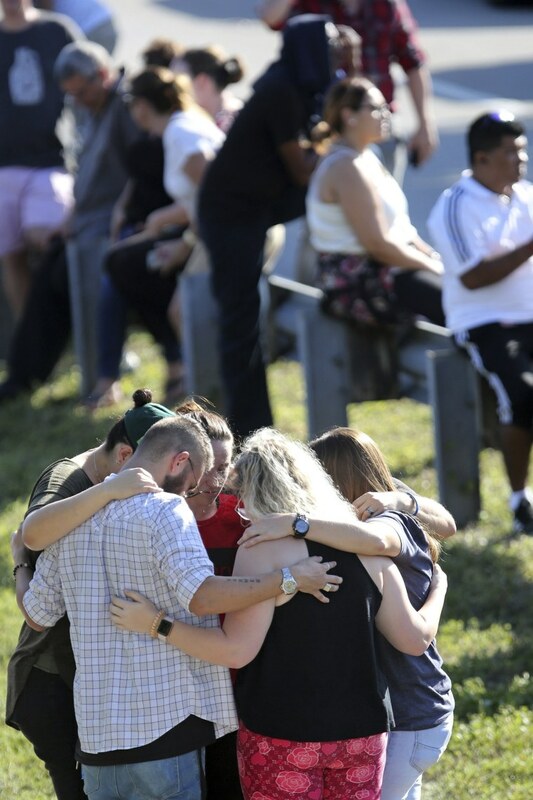 A former student opened fire at Marjory Stoneman Douglas High School in Parkland, Florida, on Feb. 14, 2018, killing 14 students and three staff members. 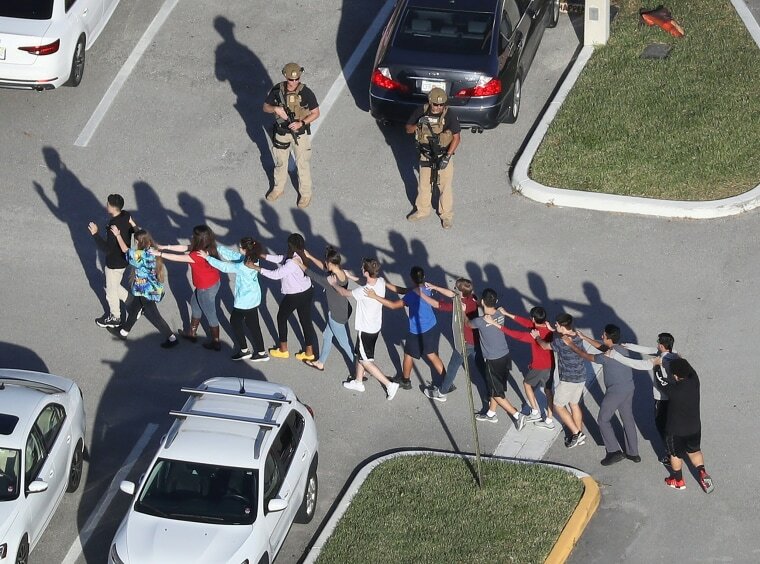 Students are brought out of Marjory Stoneman Douglas High School after a shooting at the school on Feb. 14, 2018 in Parkland, Florida. 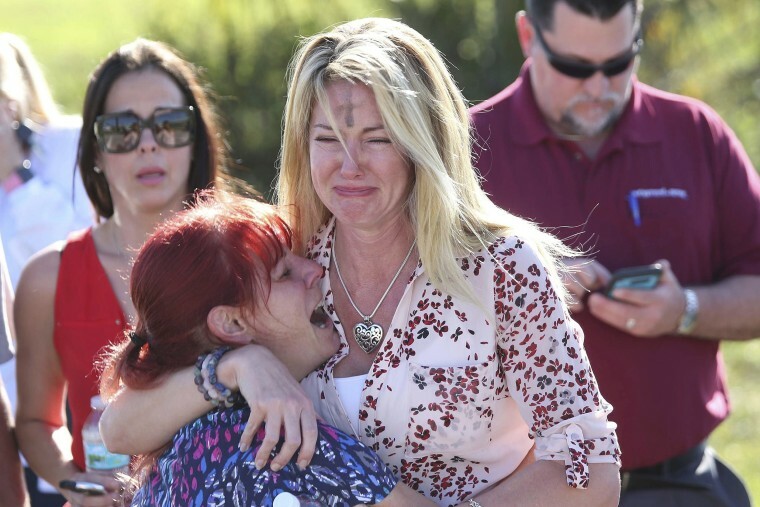 Mechelle Boyle, right, embraces Cathi Rush who was waiting to hear news about her 14-year-old son Brandon. 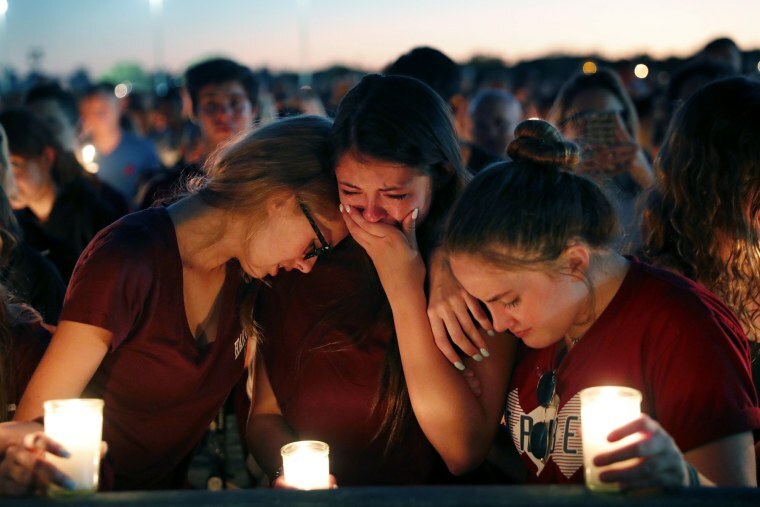 A year after the shooting, the two women are at odds — like the nation itself — over gun control. 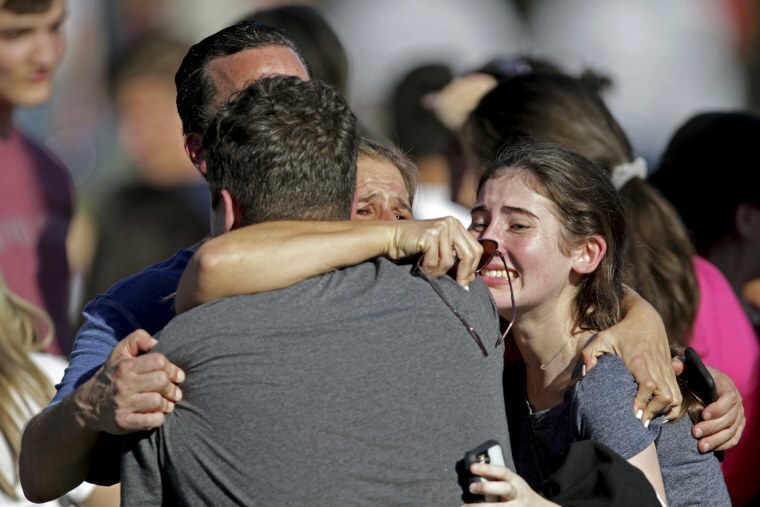 A family reunites following the shooting. Students walk away after being released from lockdown. 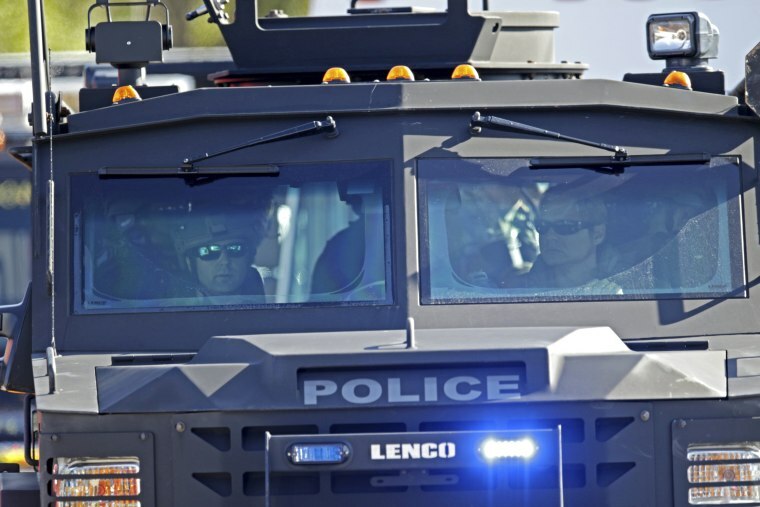 An armored police vehicle arrives at the school. 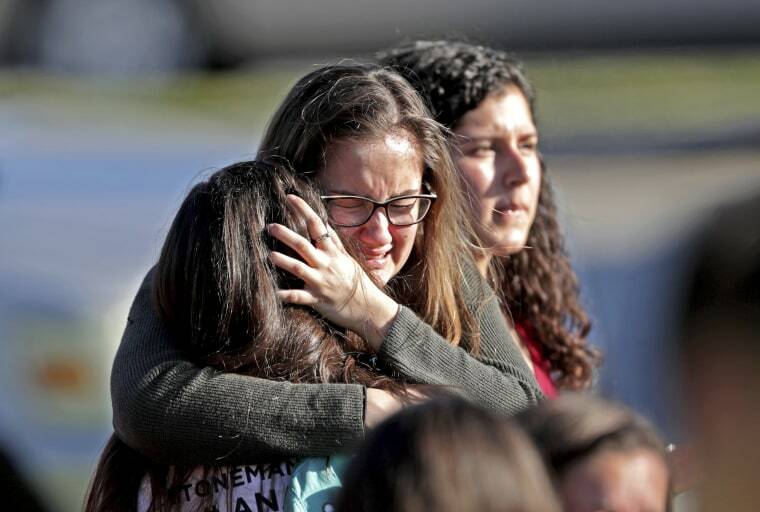 The gunman spent 6 minutes and 40 seconds inside Building 1200 at the school. 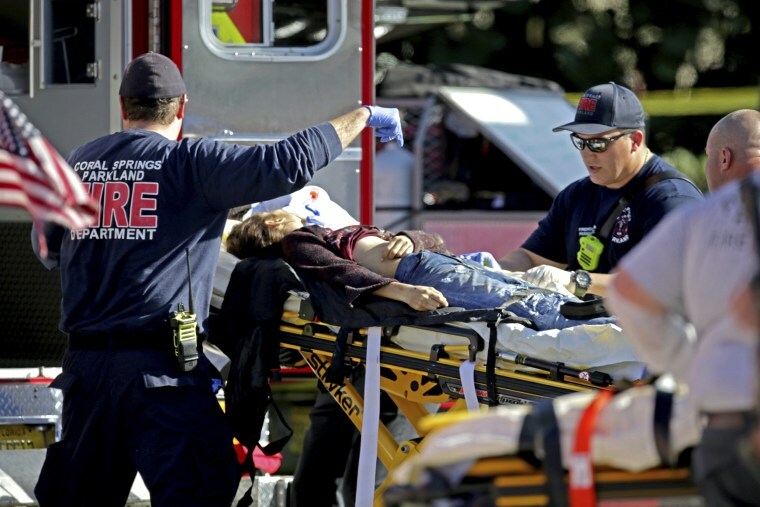 Medical personnel tend to a victim. 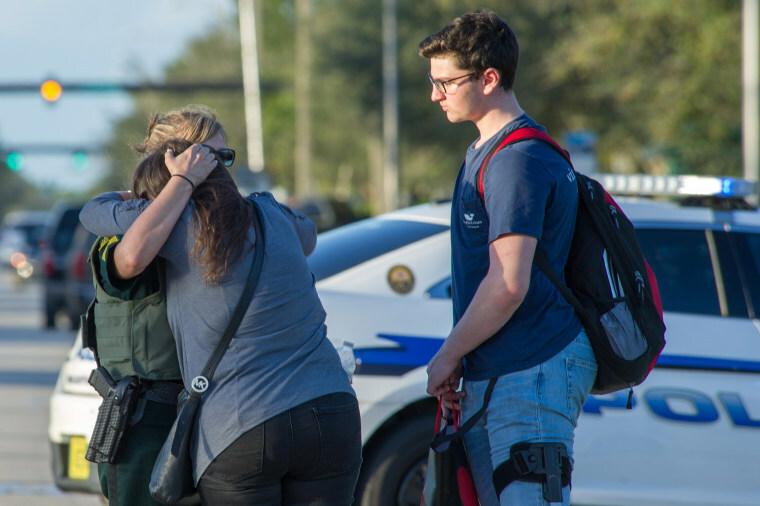 Nikolas Cruz, a former student at the school, was taken into custody without resistance a mile away from the scene of the shooting. 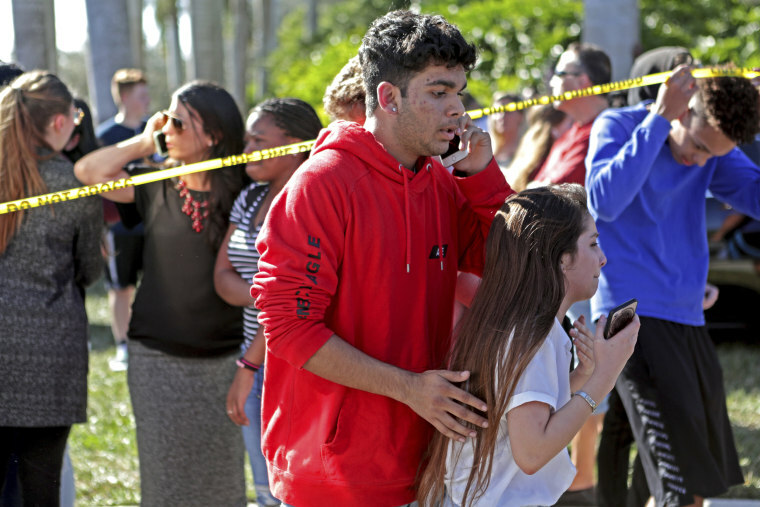 Investigators later learned the suspect had concealed himself in the crowd and was among those running out of the school. 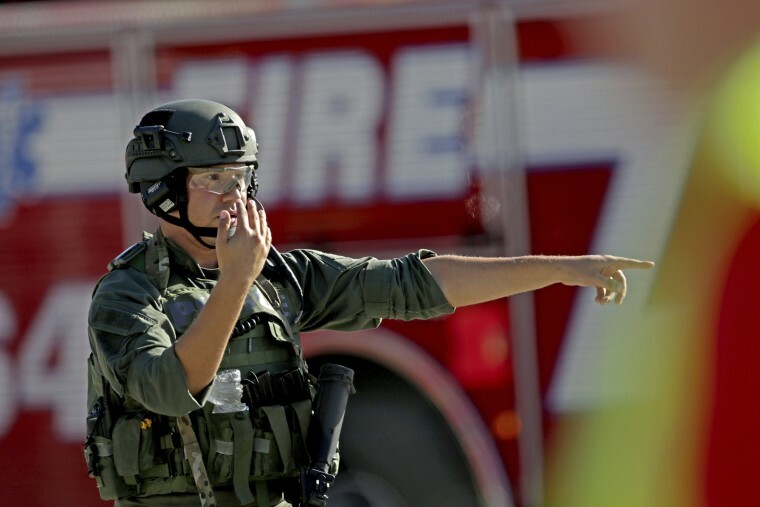 A law enforcement officer directs traffic outside the school. 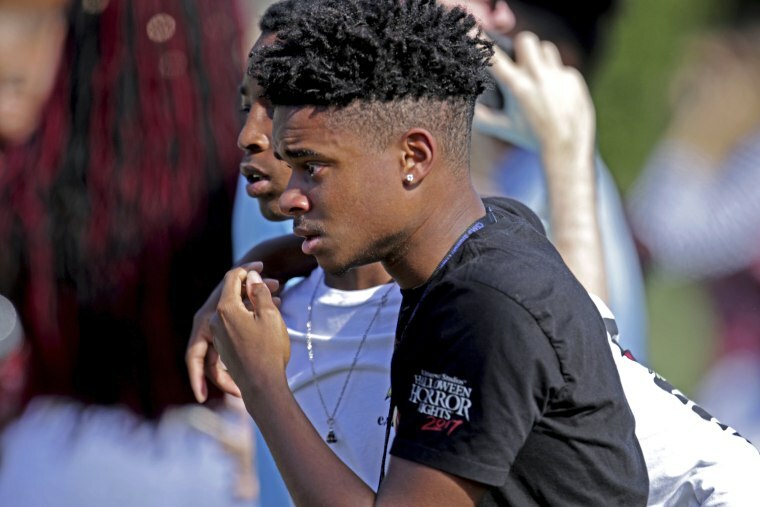 People wait to hear from students. 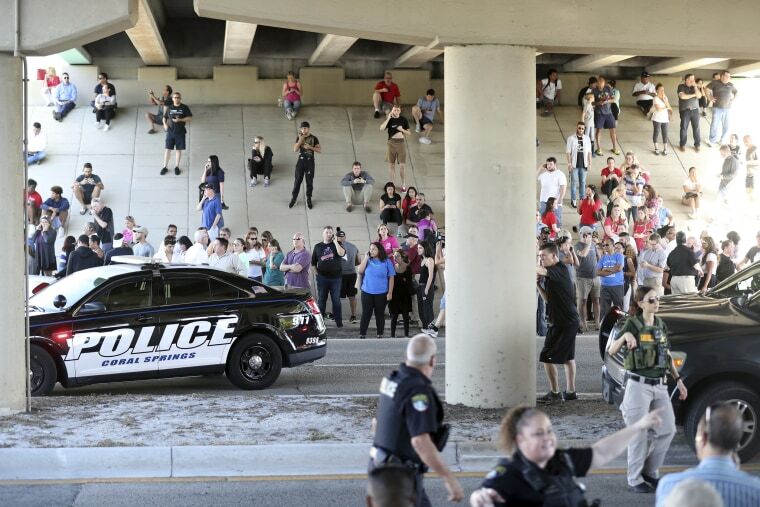 Families wait for students under an expressway. Students are released from the lockdown. 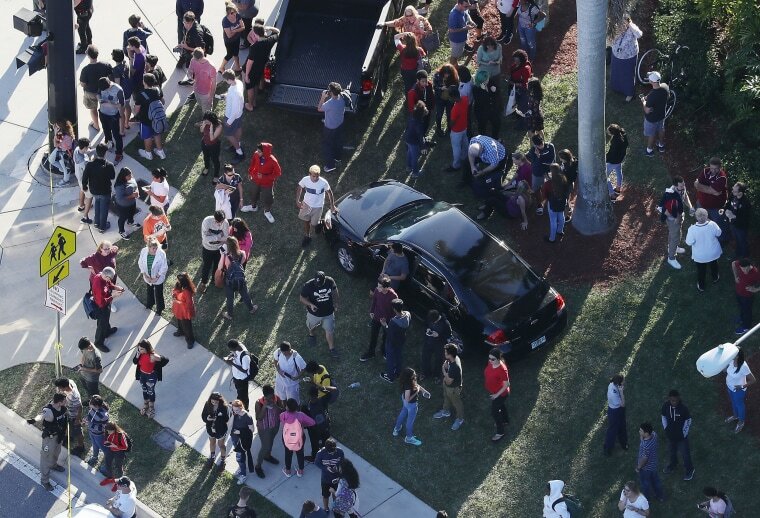 Nikolas Cruz is facing 17 murder charges and 17 charges of attempted murder for the shooting at the school. 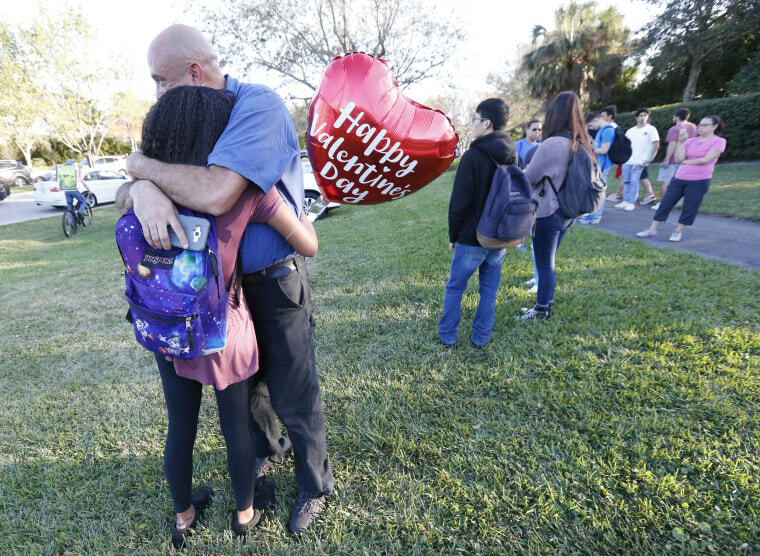 Students console each other during a candlelight vigil for the victims of the shooting on Feb. 15, 2018.